Knowing how to handle bad spring weather will keep workers on excavation sites safer. April showers bring May flowers! Right now, construction workers all over Maryland have to deal with trying to work safely in rainy weather and thunderstorms. Here are some safety tips for your construction site to handle the weather and stay safe. The first step to workplace safety at a construction site is to wear appropriate gear. Since spring is still rainy, and spring rains can be cold, it’s important to wear warm, waterproof clothing. Make sure you wear breathable layers, a raincoat, and waterproof boots. Surfaces will be more slippery in the rain, so make sure that your boots are not only waterproof but have good traction as well. Spring warmth and moisture loosens the once-hard ground. If you are excavating, this means that there’s a higher chance that a hole in the earth could cave in. Luckily, there are measures you can take to prevent this from happening. When possible, use a trench box to support the sides of the excavation. 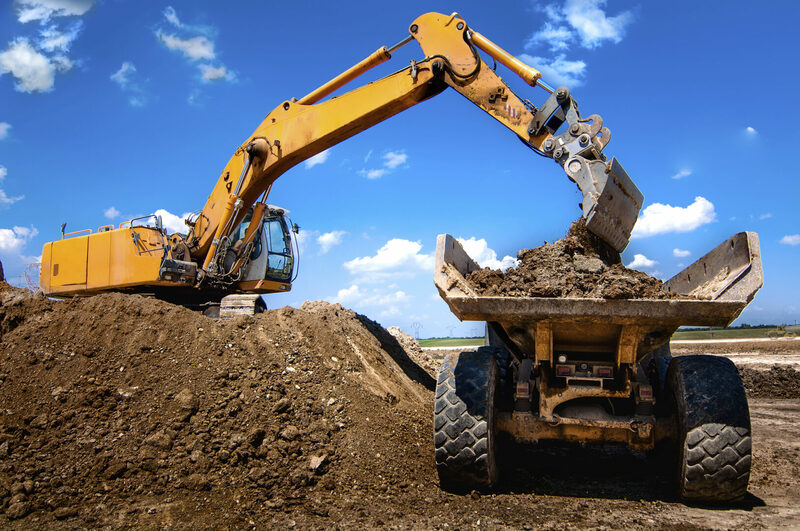 Another way to ensure safety while excavating is to dig the hole so that the sides are properly sloped for the soil type; this increases the stability of the sides of the hole. During intense rains and thunderstorms, it is sometimes better to just wait out the storm. Flash flooding can result in fast soil erosion at a construction site. High winds and thunderstorms can heavily endanger workers using scissor lifts or cherry pickers. Even if you are in a heavy duty truck, you may want to park and wait for rain to stop so that you don’t run the risk of getting stuck. It may seem inconvenient, but waiting a bit to finish the job is a wise choice to ensure worker safety! Play the best jogos friv games. This entry was posted on Tuesday, April 12th, 2016	at 4:57 pm	and is filed under Excavating and Grading Services, Safety Tips	. You can follow any responses to this entry through the RSS 2.0	feed. Both comments and pings are currently closed.